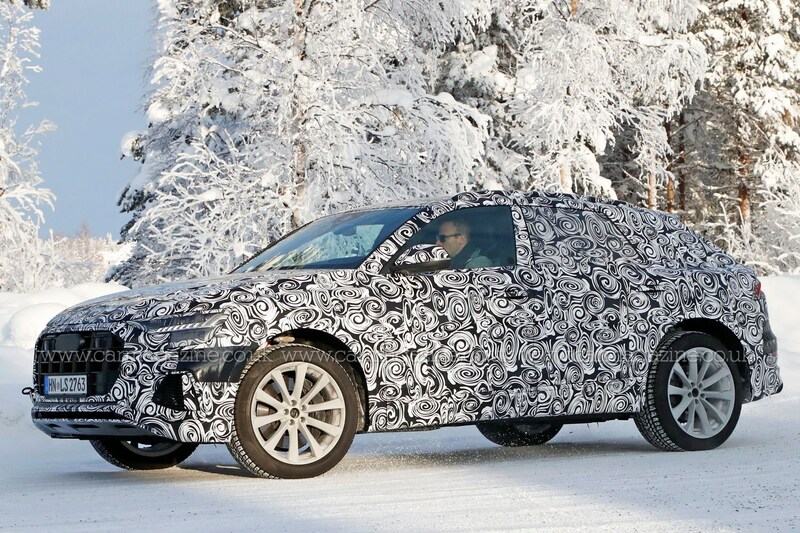 Audi’s Q8 coupe-SUV is confirmed for a 2018 market launch, and while we wait for Audi to pull the covers off, we’ll just have to make do with some fresh wintery spy shots of the hotter SQ8 model taking on a Porsche Macan. The SQ8, then, looks like it doesn’t stray too much from the lurid orange performance version of the Q8 concept initially shown at the 2017 Geneva show. In fact, in this post-Urus age, the whole shape of the new hotter coupe-SUV doesn’t seem to stray too far from its Lambo brother from another mother. 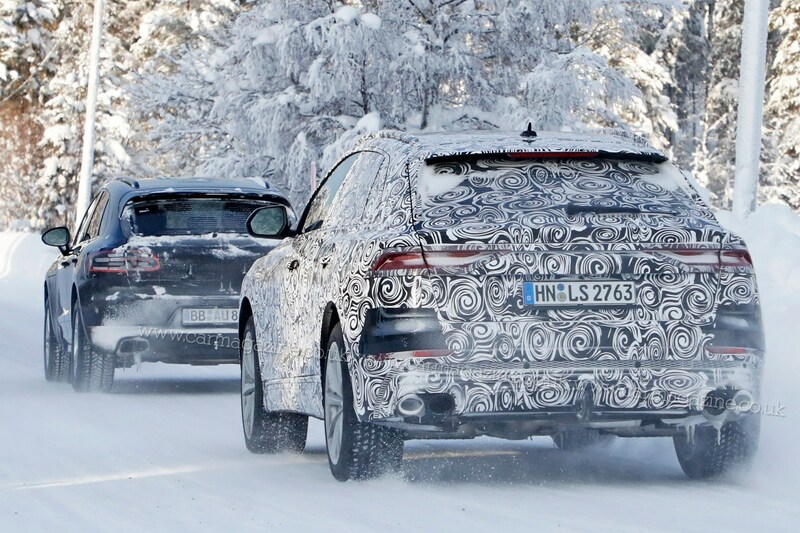 We know this is the SQ8 rather than a usual Q8 thanks to the quad tailpipes, even if two of them are clearly fake. Engine and performance specs? The orange SQ8 concept came with a 3.0-litre twin-turbo V6 mated to an electric motor, which could make its way across to the production-spec SQ8. 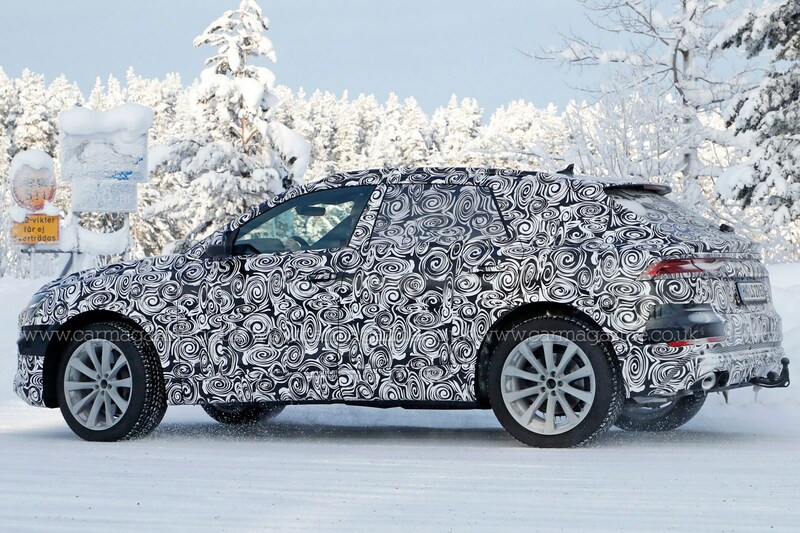 Given that it’ll inevitably be on the same platform as the Q7, Urus, Porsche Cayenne, new VW Touareg and Bentley Bentayga, expect performance kit like rear-wheel steering, active anti-roll assistance and air suspension on the options list if not standard. 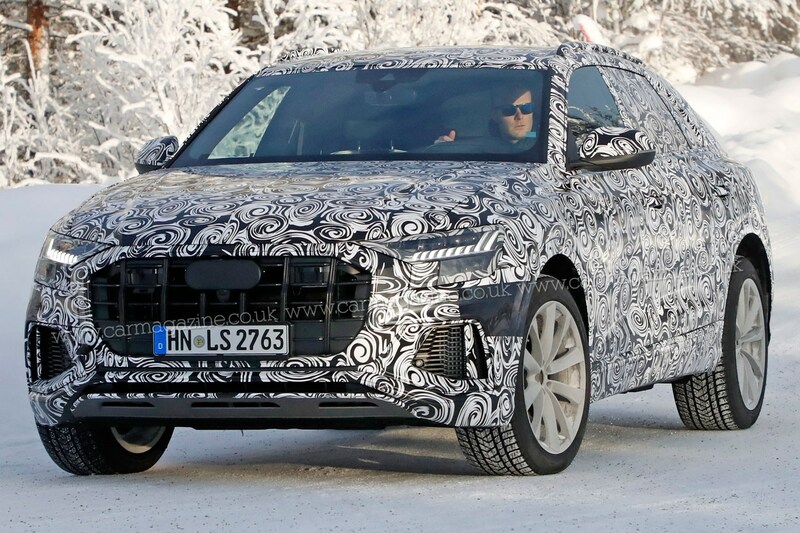 With the Q8 expected to make its production debut at some point in 2018, we should expect to see the hot SQ8 towards the end of 2018 or early 2019, poised to take on the ballistic BMW X6 M.